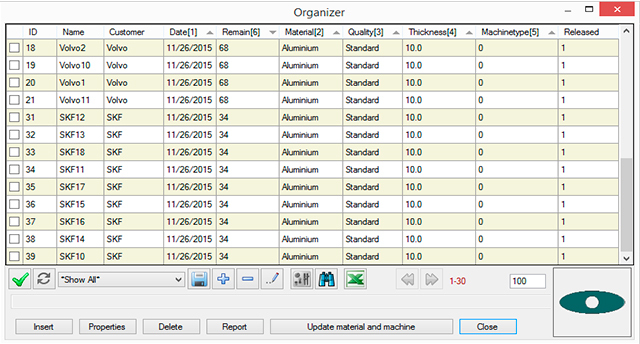 The Orgainzer module is a simple but effective SQL database to store parts and other documents related to the part. Imported geometry to IGEMS can be registered into Organizer after material, thickness, quantity and other parameters applied to the part. Filtering of specific information can be done by setting up filters for quick and easy access of parts.